Adult and senior dogs have just as much love to give as younger ones and I encourage everyone to give an older dog a chance. I promise it will change your life in the best possible way. 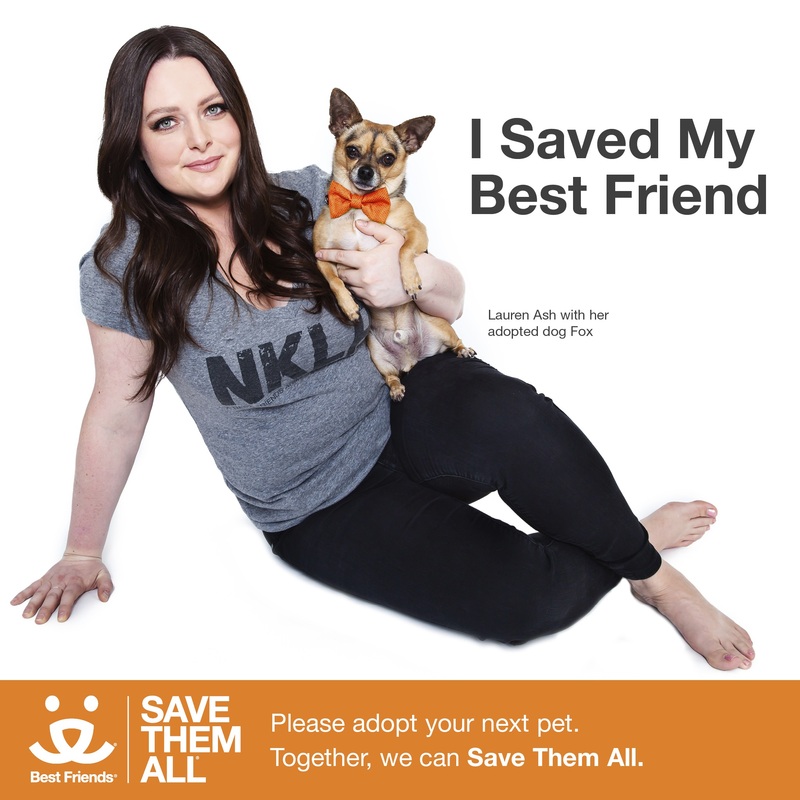 As the NBC comedy “Superstore” revs up for its third season premiere on Sept, 28, star Lauren Ash can’t stop thinking about older dogs in shelters who deserve homes and would add so much to people’s lives if only given the chance. On “Superstore,” Ash stars as Dina Fox, Cloud 9's assistant store manager. Her previous credits include playing Hortense in season one of the Comedy Central series "Another Period," which co-starred Natasha Leggero, Christina Hendricks, and Paget Brewster. She also co-starred as Rebel Wilson's BFF Marika on ABC's "Super Fun Night," which won the People's Choice Award for Best New Comedy Series in 2014. On the film side, Ash had a feature role opposite Kevin James in "Paul Blart: Mall Cop 2." She is also featured in the 2017 SXSW hit "The Disaster Artist" performing opposite James Franco. At home, Ash shares her life with her manfriend Umberto, her cat Sharky and a certain “experienced” little rescue dog named Fox. According to national statistics, each day nearly 5,500 dogs and cats die in the nation’s shelters. Best Friends Animal Society has brought increased awareness to how people can get involved in the solution by adopting, spaying/neutering their pets, donating, volunteering and sharing this message with their friends. Ash joins Danny Trejo, Carrie Ann Inaba, Denise Richards ,Nils Lofgren , Josef Newgarden ,Amanda Seyfried, Cecily Strong Maggie Q, Elisabeth Rohm, Lisa Edelstein , Tricia Helfer, Emmy Rossum, Michelle Beadle, Jack and Suzy Welch, Mike Rowe ‎, Allison Janney, Whitney Cummings, Christopher Walken, Bob Odenkirk and Britt Robertson among other luminaries ‎participating in Best Friends’ photo campaign featuring celebrities posed with their personal rescued dogs and/or cats in support of the Save Them All ‎call to action. Best Friends Animal Society is the only national animal welfare organization dedicated to ending the killing of dogs and cats in America's shelters. A leader in the no-kill movement, Best Friends runs lifesaving programs in partnership with more than 1,900 rescue groups and shelters across the country; regional centers in New York City, Los Angeles, Atlanta and Salt Lake City; and the nation's largest no-kill sanctuary for companion animals. Founded in 1984, Best Friends has helped reduce the number of animals killed in shelters nationwide from 17 million per year to about two million. That means there are still nearly 5,500 dogs and cats killed every day in shelters, just because they don’t have safe places to call home. We are determined to get that number to zero by the year 2025. Working together with you, we will end the killing and Save Them All®. For more information, visit bestfriends.org.